Spying is something we all do up to some level, either for fun or out of curiosity. However, spying technology has taken snooping to a whole new level, with the practice growing in prevalence, be it in homes, offices, or some other seemingly secure place. This leaves us with the question: is spying technology a friend or a foe? An honest answer to this is both, a good friend as well as an enemy. This may seem strange, but the truth is that spying technology, in addition to providing a lot of benefits, is a cause of serious problems for us. Let’s take a look at this in detail. Peace of mind is considered something impossible to buy, but spying technology has made it possible. With spying software like Mobistealth comes the peace of mind you crave for, as spying tools play a significant role in safeguarding your reasonable interests, such as discouraging employees from planning or executing espionage. In addition, spying technology monitors the daily computer and online activities of employees in real-time, showing you a true picture of their work routine. You will automatically feel empowered after installing spying software on your employees’ digital devices. The feeling that kids are protected from harm is worth more than anything for parents. When it comes to kids and their safety, spying technology takes away all the tensions of parents, not only in the real world, but also on internet. Spying software keeps track of kids’ online activities and their location, sending you each and every detail in the form of easy to read reports. It’s like having a 24-hours bodyguard for your kids. Even though spying technology is extremely beneficial for everyone, it also raise a lot of what and if questions. What if your partner snoops on your laptop, or your competitor spies on your PC? Questions like these makes spying tools look more like an enemy then a friend, as the very same tool you use for protecting your information can be used against you. Spying and snooping are both very common these days, leaving you vulnerable to fraud, identity theft and much more. To be honest, spying technology is mostly used as a weapon by hackers to exploit people and get their secret information like bank account details, passwords, social identity card number, etc. Spying technology can ruin relationships, be it between parents and kids, partners, employers and employees, etc. Trust is the bonding element when it comes to relationships and spy software can break that trust once its presence is discovered. 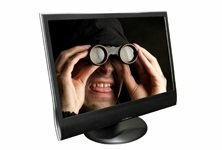 Your kids and employees won’t feel good when they will come to know that they are being spied on. The feeling that you do not trust them is enough to make them angry. So, it’s highly advised not to spy on anyone especially, especially if they are close to you as they are bound to get hurt once they come to know about it.